Have you ever wondered what would happen if you took a 999cc motorcycle engine and placed it inside a riding lawnmower? Ponder no longer, as the good folks over at Honda UK decided to do exactly that, and the end result is a lawnmower that can reportedly reach a top speed of 150 mph. This isn’t the first time Honda created a violently over-powered, fully functional grass cutting machine as they released the original “Mean Mower” back in 2014, which at the time drove a record-breaking 130 mph. However, the Norwegian Speed Factory Team, which took a GM LS V-8 and stuffed it inside a Viking T6 lawn mower, recently overtook Honda’s previous record, which is why Honda UK has decided to reclaim the title of the world’s fastest lawnmower. The “Mean Mower V2” comes equipped with a steel custom-made chassis and weighs just over 300 pounds, along with Hoosier R25B racing slick tires, Kelgate brakes, four-piston calipers in the front and six in back. 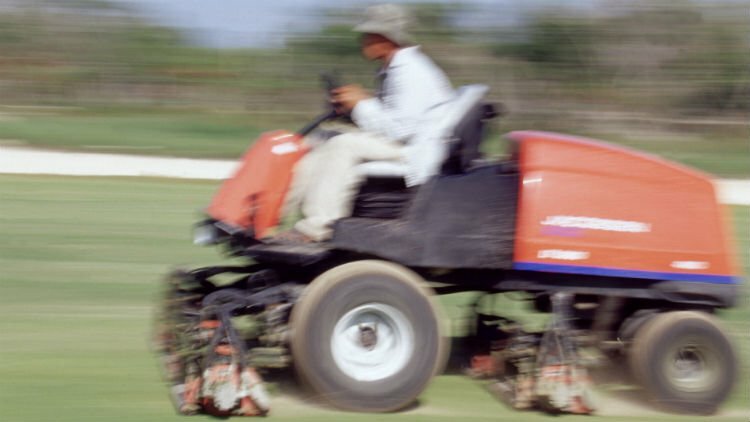 In addition, this mower also comes equipped with titanium Scorpion headers and exhaust, along with carbon-fiber cutting blades as a finishing touch. With 189 horsepower and 85 pound-feet of torque, Honda says their newest innovation can go from zero-to-60 mph in less than three seconds, which they hope will leave both gearheads and Sunday gardeners in awe.